The best thing about Wan Jin Shi Marathon Race, is the chance to take in the enchanting view along the North Shore. The breathtaking view of the mountains and the seaside is the centerpiece of the race. The Queen's Head Rock is set against the backdrop of the North Shore, complemented by the area's many scenic landmarks. This is the only bronze label road race in Taiwan, attracting the attention of many marathoners.The image of surging toward the finish line symbolizes the many obstacles along the race, and the joy of reaching the goal. The New Taipei City Wanjinshi Marathon started in 2003 as the Jinshan Marathon. Up until now, 2017, the marathon has been held for 15 years. For the very first Marathon held, the ending point was located at Jinshan Youth Activity Center, with around 4,000 runners participating in this local sports event. But after 15 years of operation, the marathon has achieved international recognition and became a role model. In 2004, the course of the event expanded to include both Jinshan and Shimen Municipal Districts, the name of the event thus changed to the Jinshi Marathon. Later, in order to minimize the impact on local residents resulting from traffic controls of the event, the starting and ending points were relocated to the Pacific Green Bay (Taipingyang Feuicuiwan) in Wan Li since 2006. 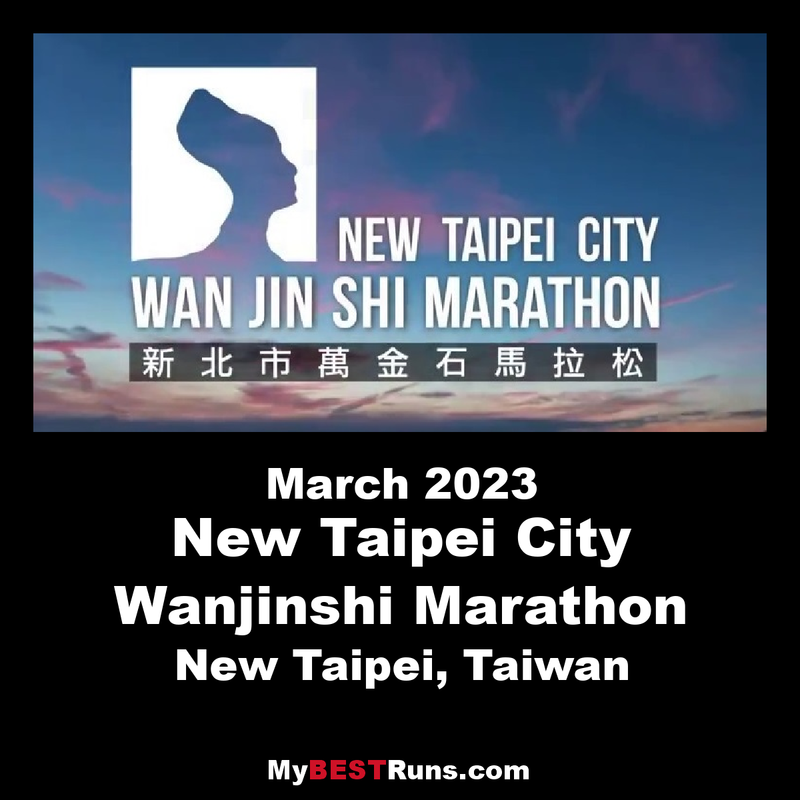 After five years of preparation, the event planning expanded to include the Wanli, Jinshan, and Shimen Municipal Districts in 2009, and the names of each municipal districts were abbreviated to form the new name of the event, Shiwanjin Marathon.